Dimensions 1.25 by 7 by 9.75 in. Amazon.com description: Product Description: This book combines thoroughly field-tested knowledge delivered in a carefully developed step-by-step format. Both the manager and student will be able to build understanding and a key account by the end of it. 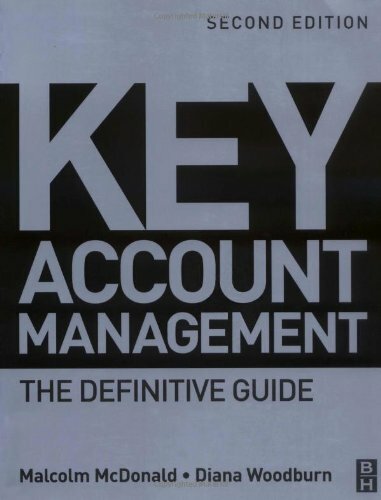 By analysing how key accounts really work in detail the authors create the tools that the reader will need in the marketplace. Equally it gives a clear picture of why KAM must be an important element of the corporate strategic plan. Based on best practice from major companies globally there is no more definitive overview of this critical business to business strategy for sales and marketing managers and serious students in business and marketing. About: This book combines thoroughly field-tested knowledge delivered in a carefully developed step-by-step format.